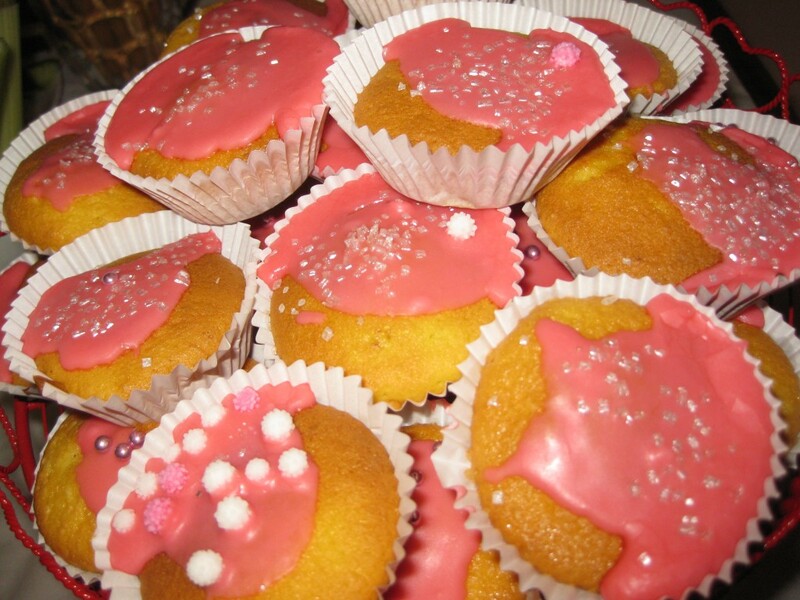 Vanilla and pink flavoured cupcakes. Very tasty. None left.